[Mercy Corps' objective is not to move nomads off the range. It aims to diversify incomes, stemming migration to Ulan Bator, the nation's swelling capital.] 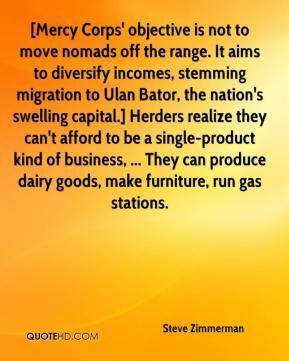 Herders realize they can't afford to be a single-product kind of business, ... They can produce dairy goods, make furniture, run gas stations.